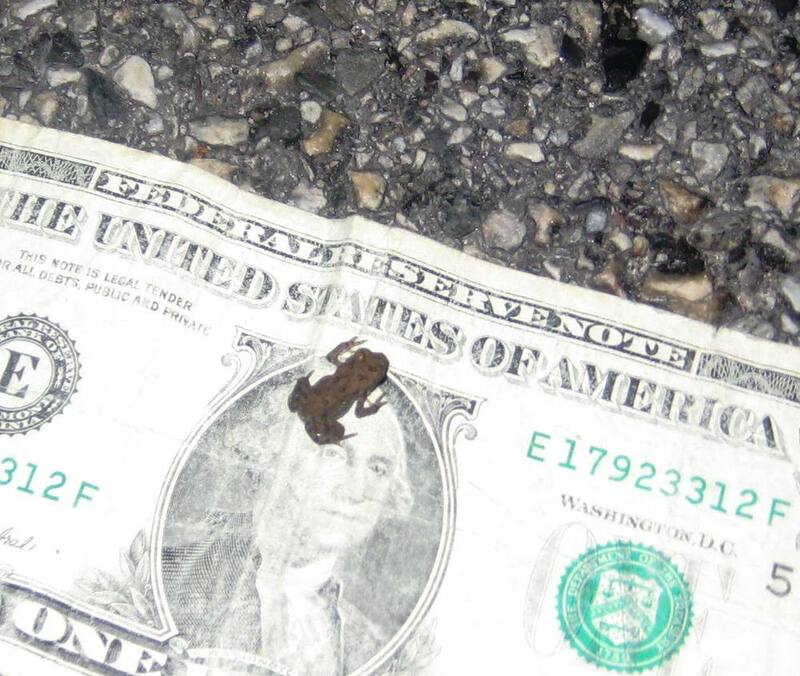 Thanks for the perspective, Billy!We're all for helping animals cross the road here at the Griddle, so we fully support efforts to get baby toads safely across in Roxborough. Every spring, the toads migrate to and from the reservoir, and sometimes they get smushed. That's where Toad Detour comes in. Teams of volunteers help the adults, and then the babies make the trip safely. Grid contributor Bernard Brown sent us this image from Saturday night's crossing. For information on what you can do to help, visit Toad Detour's website.